US travel sanctions targeting Cambodian officials are "useless", a ruling party spokesman said Thursday, as the kingdom shrugs off international criticism of a one-sided election win. 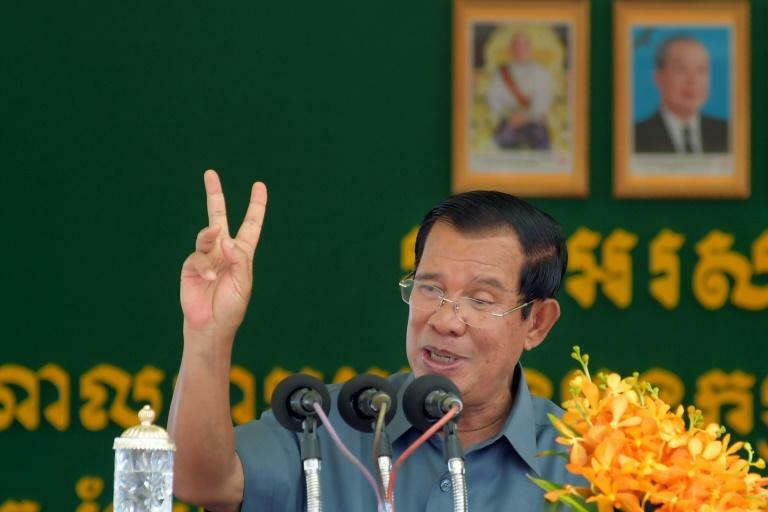 The Cambodian People's Party (CPP) led by strongman Hun Sen won all 125 seats in parliament during last month's poll. The main opposition did not contest the vote after a court dissolved the party, clearing the way for a landslide victory for the CPP. Western governments have decried the election and the US State Department on Wednesday announced an expansion of visa restrictions to include Cambodians responsible for a crackdown on dissent in the run-up to the "flawed" vote. But a spokesman for the CPP called the move "useless". "The restrictions or so-called sanctions on Cambodia will not be effective," Sok Eysan said. "For example, if I don't want to go to that country, how can they block my visa?" Washington did not name the officials targeted by the expanded list but it has already hit the chief of Hun Sen's bodyguard unit with financial sanctions in June. The CPP is hailing an 83 percent turnout as a sign of a overwhelming popular support. But critics say the election was a sham and highlight the 600,000 spoiled ballots as a sign of serious disquiet while others were intimidated into casting ballots. Relations have soured between the US and Cambodia in recent years. Hun Sen, who has been in power for 33 years, has instead turned to China for cash and loans to make good on development promises. The 66-year-old accused the opposition last year of conspiring with the US in a plot to overthrow the government, and police arrested opposition leader Kem Sokha on treason charges.